I was pretty sure this was a joke. 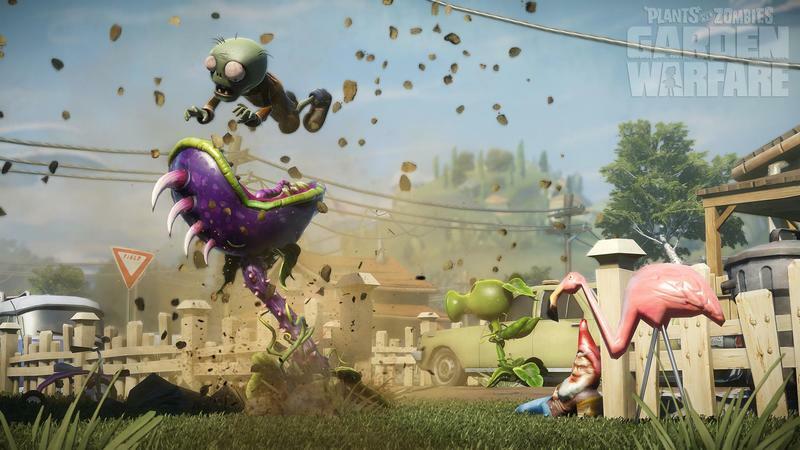 Before E3 started, EA was spreading title cards for Plants vs Zombies: Garden Warfare and Petal of Honor around the Internet. I assumed they were kidding. I assumed they were trying to hype up the recently announced Plants vs Zombies 2: It’s About Time. I was wrong. 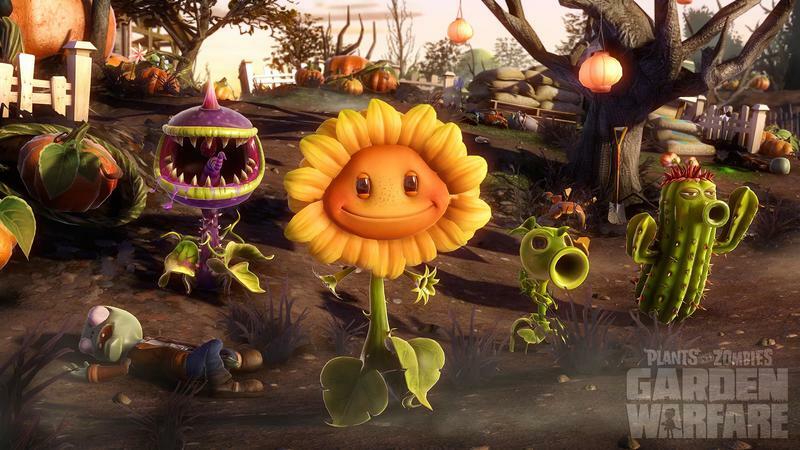 Garden Warfare is a real thing, and it looks amazing. I sat in on a preview session where we watched four PopCap developers play through the same level featured during EA’s press conference footage. Our presentation involved largely the same action, but the developer commentary offered up perspective on the combat. This is a third-person shooter with class-based mechanics. The Sunflower is a healer, the Cactus is a sniper, the Peashooter is an all-around fighter and Chomper is a close-range brawler. 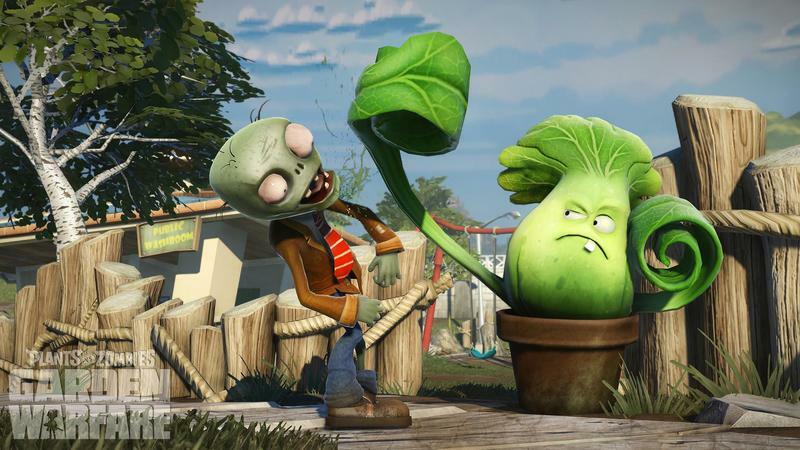 The team-based cooperative play involves using each plant’s abilities in order to support friends and beat back the zombie waves. The objective of the game is strikingly similar to the lesser-known Orcs Must Die series. This third person tower defense title tasks players with fighting orcs directly and setting up traps and weapons around the map. You’ll do both of those things in Garden Warfare. Each plant has a few special abilities. The Sunflower can heal, for instance, with a beam similar to the Medic’s in Team Fortress 2. The Peashotter can root himself and turn into a machine gun. The Cactus can call in a flying Garlic Support Drone in order to set up airstrikes made of popcorn. It’s that kind of silliness that makes this game special. The person guiding the demo used the word “fun” about five or six times during his introduction. Fun is what this game is all about. Every subtle detail and joke makes that extremely obvious. 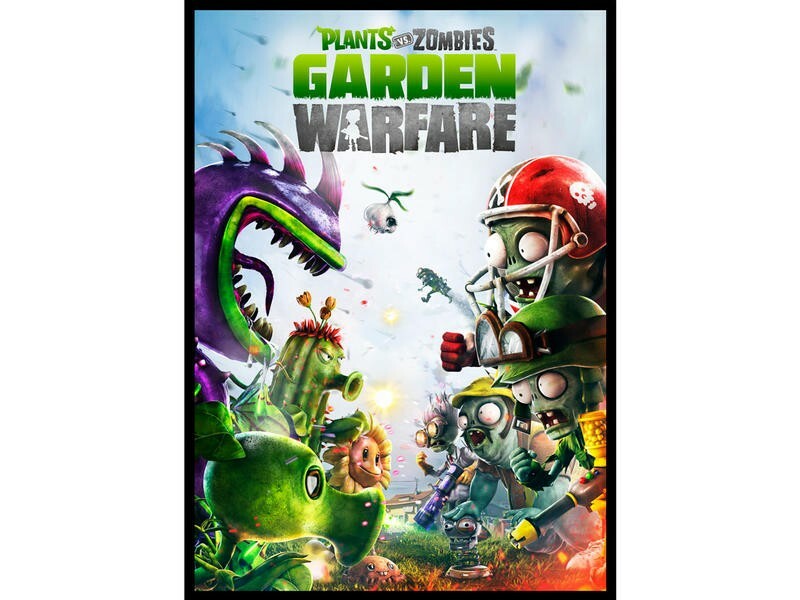 Plants vs Zombies: Garden Warfare seems like a surprisingly deep third person, squad based, tower defense game. At its core, though, it’s about fun. 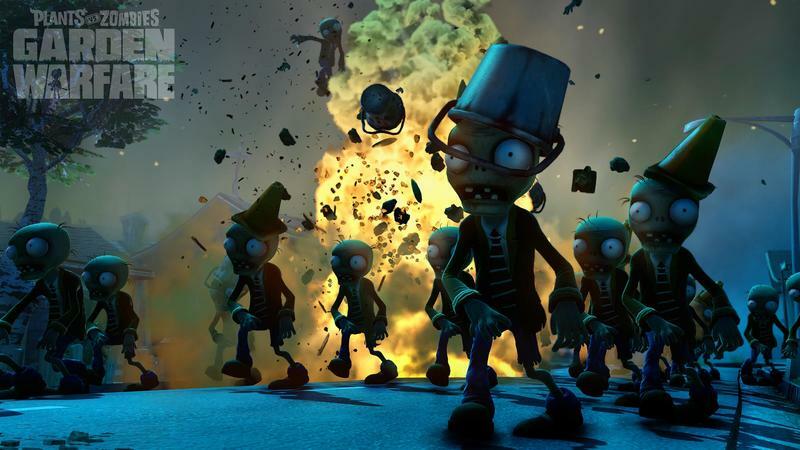 Garden Warfare is set to release for the Xbox 360 and Xbox One first. PC and “other platforms,” according to EA, will come later.